The Daisies Join Qantas in flight!!! 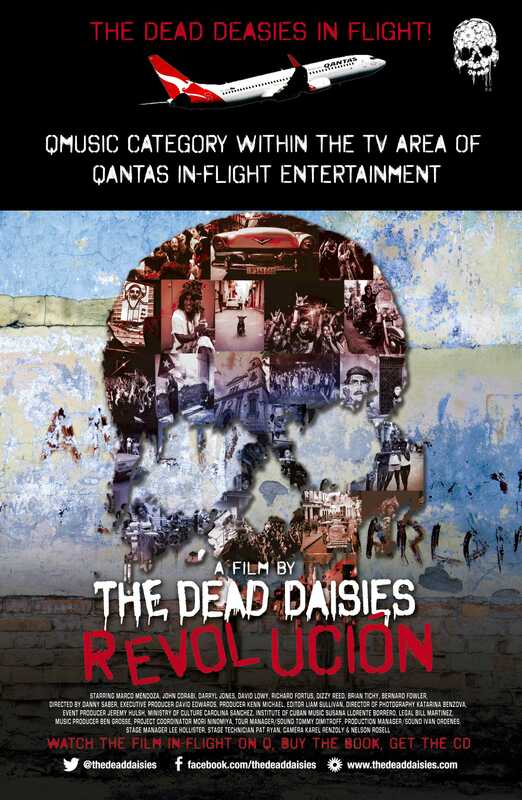 From today you will be able to watch our historic trip to Cuba documentary – ‘Revolución’ on Qantas Inflight Entertainment as you travel around Australia and the world. Initially the documentary will be featured on B737, A330, B747 and A380 aircraft Panasonic systems and analogue system flights will be added within the next few weeks. You can also listen to our new single ‘Mexico’ on ‘Rock On Q’ during all Qantas flights.